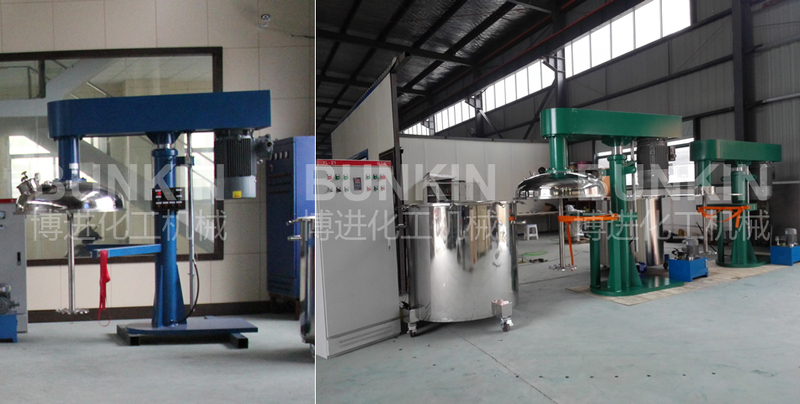 Vacuum Closed Disperser_Anhui Bunkin Chemical Machinery Co.,LTD. 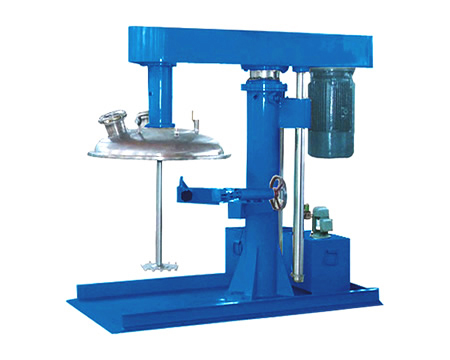 Vacuum High speed Disperser is a functional machine developed based on the standard High-speed Disperser. A closed lid, with spring seal ring mounted in a milling groove of the cover flange, is completely closed with tank and ensures no air leakage under vacuum operation surroundings.Vacuum pumps are option whose limited vacuum degree can be -0.0998mpa(20mbar). It shows excellent performance during special dispersing condition such as vacuum defoaming, vacuum charging, inert gases protection and etc. Through the high speed rotation of the disc. The materials flow in annular form flow, resulting in strong vortex flow, which descend down to the bottom of the vortex in spiral state. During the process, materials are dispersed, dissolved, mixed and emulsified efficiently due to the strong shearing crash and friction among the particles. The dispersing disc produces a good radial power through the circular motion which accelerates the material circulation and improves the dispersion efficiency. During operation, the cover and tank is completely closed to realize vacuum dispersing result with help of vacuum system.